Running The Race Before Us: Let's do this! The 2nd annual Love Peru Fun Run & 5K was hosted by First Baptist Church of Canton (my church home) this past Saturday. All the proceeds from the race go to the church's orphanage in Peru: Village of the Children. Last year, this was a family function. I ran the fun run with the girls, and my hubby did the 5K. This year, it was just me. 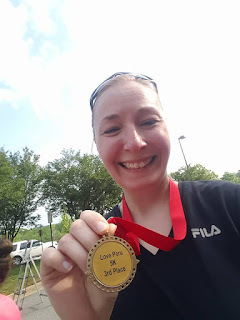 I went and ran the 5K. This happened for a couple reasons. First, back in February, my hubby got a blood clot due to a dissection of his iliac artery. He's been sidelined from running since then, and at a recent doctor's appointment, he was told he wouldn't be running again any time soon. So because of his injury, hubby couldn't run this race, but we still wanted to support the race to support the orphanage. That's why I signed up. And because the medical bills have increased, we opted not to have the girls run this year. I was on my own with this one. Thinking about my hubby, not able to run. Thinking about many, lost too soon. No longer here to partake of events like these. 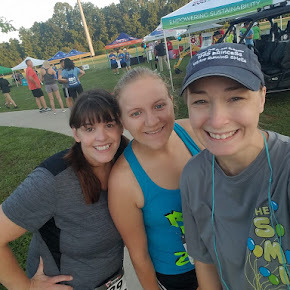 These thoughts motivated me as I pushed through this 5K course that I absolutely hate due to its hills (one killer hill in particular comes to mind). Near the end of the course, I was so exhausted. I didn't want to push forward any more. And that's when I met Brenda. Brenda. The older lady who, despite the hill from hell we had just navigated, was still determined to finish this race strong even though our lungs and legs were on fire. Our eyes met as we pressed on, and we both began complaining about the race course - specifically that hill. 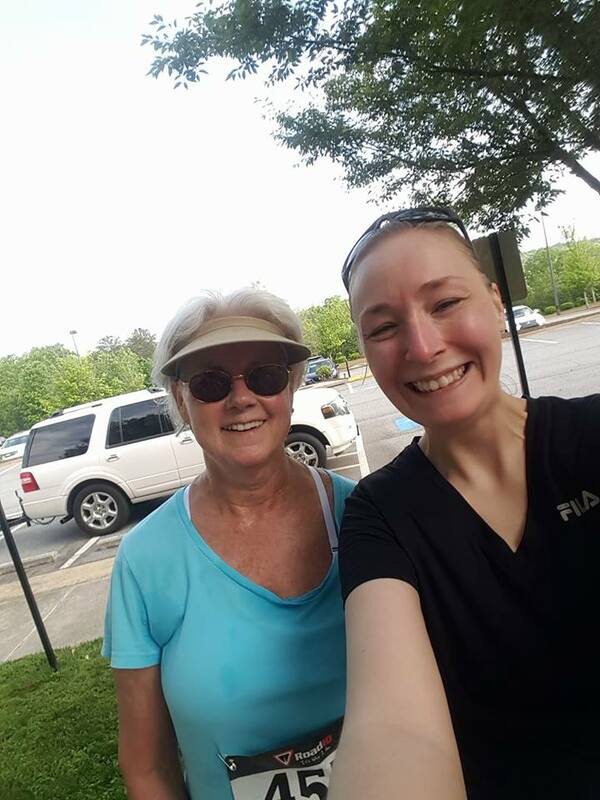 But Brenda changed the conversation totally when she said, "You know what though, I just think about my friends who aren't able to run or those loved ones I've lost who aren't here to do this, and that's what keeps me moving on - pushing forward." We saw the finish line ahead and she said, "Come on. Let's go. We can do this!" And thinking of my hurting hubby, and seeing how grateful this grey haired lady was to still be able to run, I found the something within me (gratitude to God?) to sprint onward toward the finish line. Toward a third place finish for my age group. I surprised myself. I finished with a time of 34:44. It hasn't been since races in 2013 and in 2014 on this course that I had finished with a time like that. The most recent time I ran a race at this location, my time was 42:50. Just goes to show you how powerful a mindset can be. Charles Swindoll once said, "Life is 10% what happens to you and 90% how you react to it." In my life, I have found this to be beyond true. Choosing to respond positively in the face of adversity - especially when you know who holds everything in His more than capable hands - can open up possibilities otherwise left undiscovered. I could have let that course beat me down, but instead of dwelling on how much I hated my current situation (That darned race course! ), I decided - with Brenda's help - to remember how grateful I should be for that current situation. 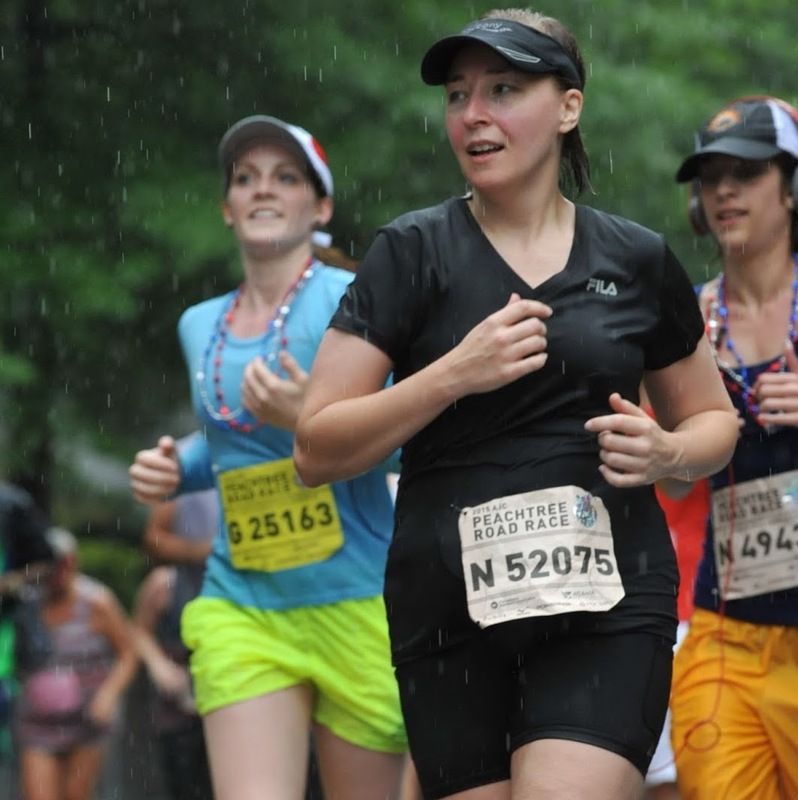 I decided to run in to that finish line like I had never run to it before - because there are those that cannot. I embraced it. I owned it. And so, I rocked it! What do you need to embrace? Is there a bull you need to take by the horns - so to speak? Is there something in your life right now that has the potential to leave you in defeat? Choose, now, to let that adversity eat your metaphorical dust! "Run" this "race" - dang it! - even if you can't literally run right now. Then crawl! Choose to be the better for whatever is currently trying to grind your face into the dirt. Get up! MOVE! Running Tip: Run for those lost too soon (Angel, Christian, Diana, Kevin... and too many more to mention). Let's do this. Do life. For them.